This 1 bedroom apartment with shared pool is located in Pattaya and sleeps 4 people. It has WiFi, a garden and parking nearby. 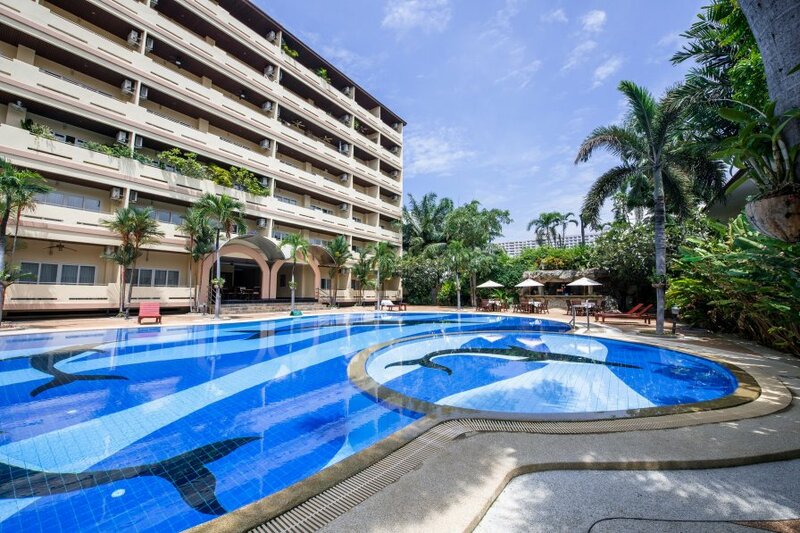 Modern, Spacious and Comfortable apartment with swimming pool in the south of Thailand, in Pattaya, 5 minutes walk to the beach, in quiet residential area, with all services, less than 2 hours from Bangkok Airport in bus. Our apartment of 120Mt, fully equipped to make your stay like your own home, free WIFI connection, air conditioning, large and very relaxing pool, GYM, parking, 24H security, cable TV and Netflix, full kitchen, refrigerator, large bathroom inside the room with huge bathtub, separate shower, comfortable furniture, large outdoor terrace, which will allow more flexibility in stay. The unbeatable area, less than 3 minutes walk you will find banks, nightly food market, restaurants, bars, beaches, supermarkets, motorcycle rentals, taxis, authentic local life, etc. Welcome to your home in Thailand!